Dr. (Col.) Joy Dev Mukherjee is one of the top Neurologists in India with over 30 years of medical experience in the field of neurology. Having been actively involved in research work, Dr. Mukherjee has worked on a number of research projects and drug trial. He has been awarded by the Government and Army for his tremendous work and endeavors in his field of expertise. Dr. Mukherjee is also well known for attaining a special training on Multiple Sclerosis Treatment in Switzerland. He is highly skilled in the treatment of Strokes, Headaches, Movement Disorders along with Critical Care Neurology and Multiple Sclerosis. 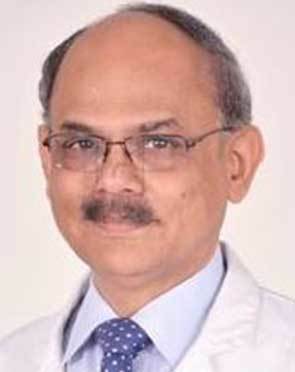 Dr. Mukherjee has served in Armed Forces Medical Services for 23 years and was also a senior faculty at Army Research and Referral Hospital, Delhi. Recognized for the Best Scientific Paper in the platform presentation section in neurology for his paper "Stroke in the Young" at APICON. Dr. Mukherjee performs 5 different procedures. Click on a procedure name to see more details and to view doctors for that specialty.